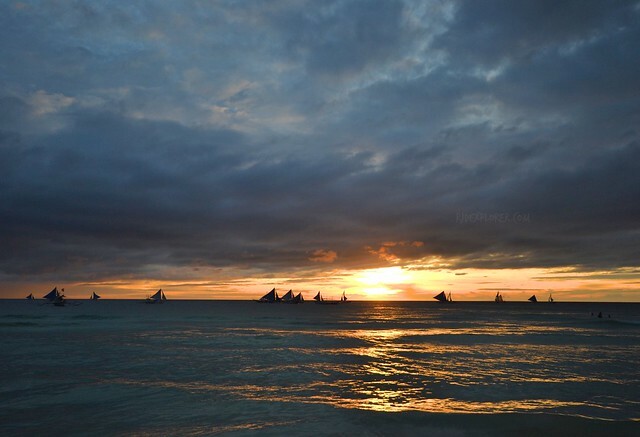 If you’re not a first timer, Boracay Island on a weekend is a cheap and laid-back getaway. Thanks for airlines’ seat sales for low-cost tickets to the busiest island of the Philippines. The hordes of tourists are invasive and I always seek for serene spots in the island where I can get away from the infuriating crowd. 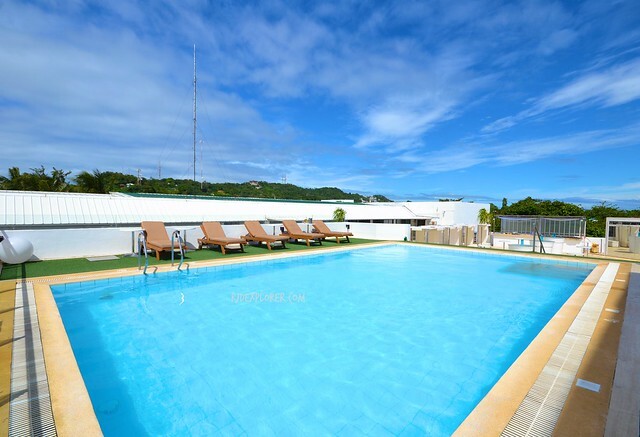 On my fifth visit, I didn’t imagine that Tides Hotel Boracay, despite its location in the middle of D’Mall, can offer a tranquil and convenient stay in Boracay island. My fifth time in Boracay and it’s still funny not to try any water-related activity, except for swimming of course. On this trip, we just dwelled inside our rooms in Tides Hotel Boracay most of our stay in the island. The newly renovated Boracay Airport allows guests to deplane from the aircraft on the rear part of the runway. Everyone will be transferred, on Southwest buses, to the terminal’s arrival area. 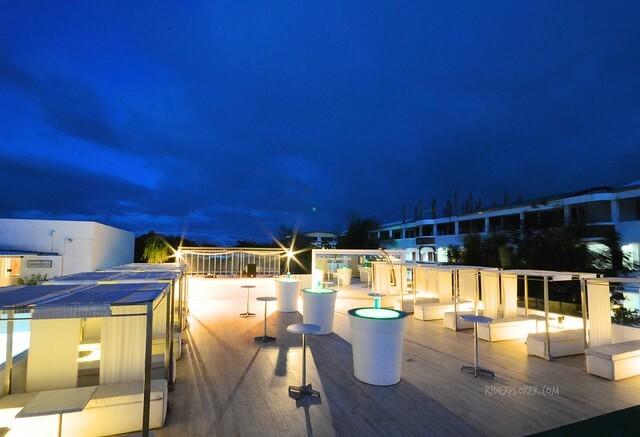 From here, a Tides Hotel Boracay crew patiently waited for me for a pick-up service, which is on top of the room rates. The convenience started with a swift ride from the airport to Caticlan Jetty Port. It continued by avoiding the lines for the ferry ride, and terminal and environmental fees because the staff settled these for me. Right after we docked on the island, another van service of the hotel shuttled me to D’Mall. Hotel’s entrance is actually easy-to-miss from the outside. With the numerous times I’ve passed by the area, I didn’t expect anything extraordinary from it. Not until I arrived at the hotel, after a refreshing welcome drink and a cold towel, I was startled by the way the property maximized the area. Passing by the lobby is the atrium where you can appreciate the minimalist yet striking design of the hotel. Large white pots contain plants that enhance the simple setting. Simplicity continues on the room types. 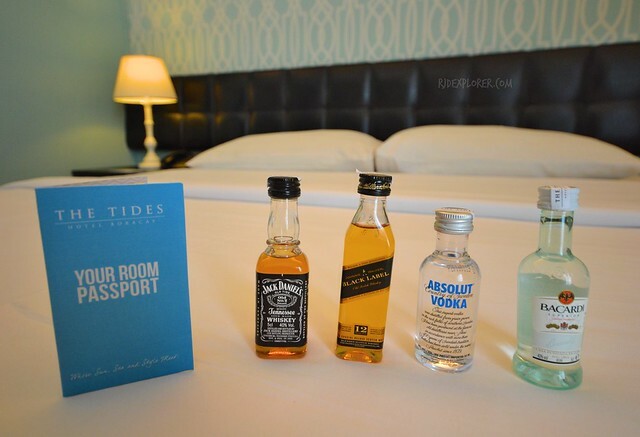 Tides Hotel Boracay only offers two types of room: essential (superior) and exceptional (premier). 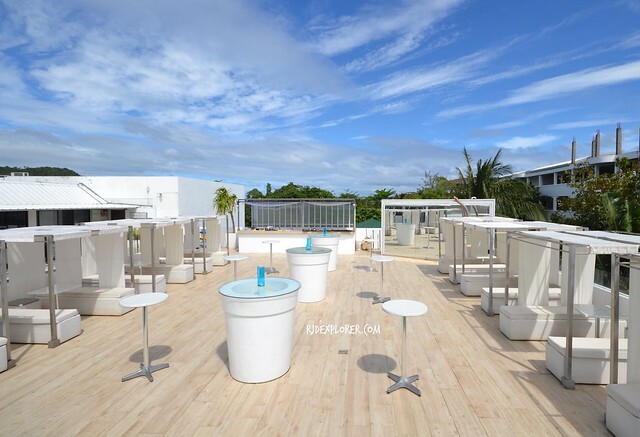 With the room names, you can already foretaste how to spend your weekend in Boracay. We stayed in one of the exceptional rooms armed with 2 massive queen beds on a 28-square-meter floor area. The moment you enter the room; you can instantly peek at the floating bathtub with rain shower. 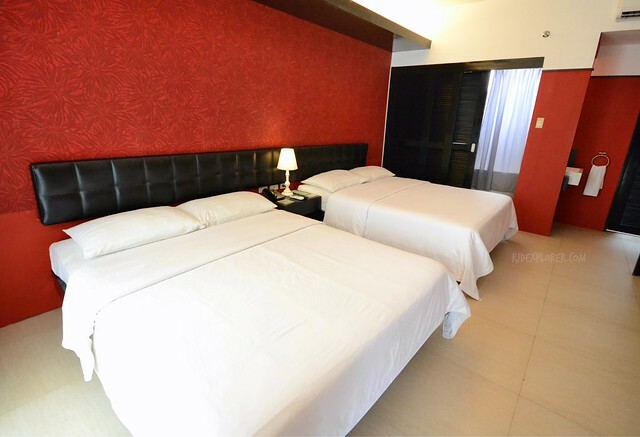 Aside from these luxuries, in-room facilities and amenities include a hushed air-conditioning system, LED TV with cable channels, safety deposit box, mini bar, and coffee and tea making facility. The weekend that was supposed to be a weekend chilling on the beach, drinking on bars, and trying must-try food in Boracay, was spent inside our comfy room. Since everyone is not a first-timer, we just enjoyed the cold temperature, soft sheets, and snugly blanket and duvet that were really hard to resist. Despite its location amidst the busy, crowded, and deafening D’Mall, we found ourselves getting astounding naps that resulted to long hours of sleeps. If you’re looking forward for a soothing hot bath, then utilize the massive bathtub. Shower essentials like shampoo, conditioner, shower gel, soap, dental and vanity kits, are also available. Also, the fresh towels being replaced daily. 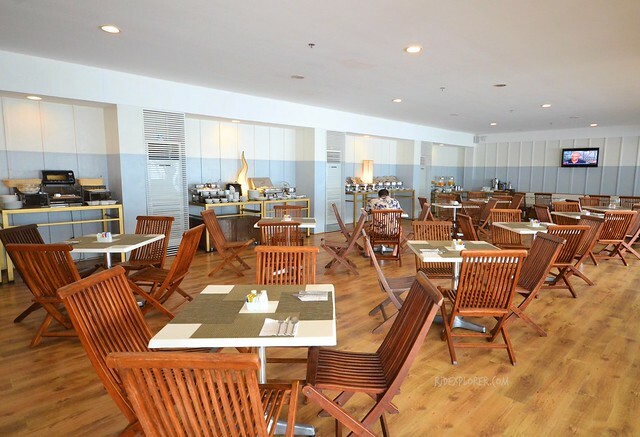 When the crowd on Boracay restaurants easily annoys you, Tides Hotel Boracay’s Ka-on Restaurant will be your refuge. 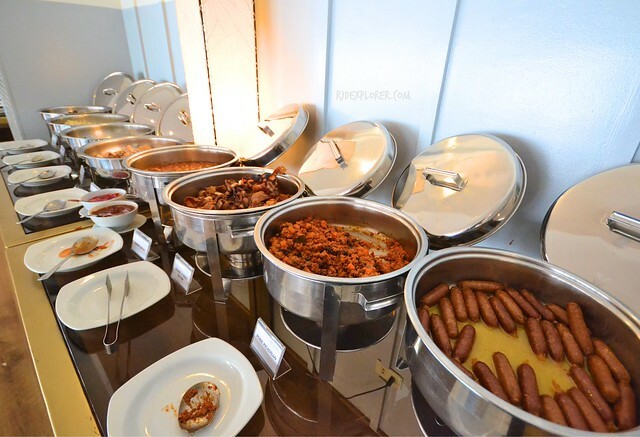 The restaurant offers Filipino food all the way from Ilocos, Bicol, and even the southern provinces. If you’re picky when it comes to the local cuisine, a section of Ka-on’s menu has continental dishes like fish and chips, grilled ribs, and poached salmon. We tried tilapia fillet ensalada (Php300), rellenong alimango (Php360), bagnet pakbet (Php300), and laing with pork cracklings (Php220). 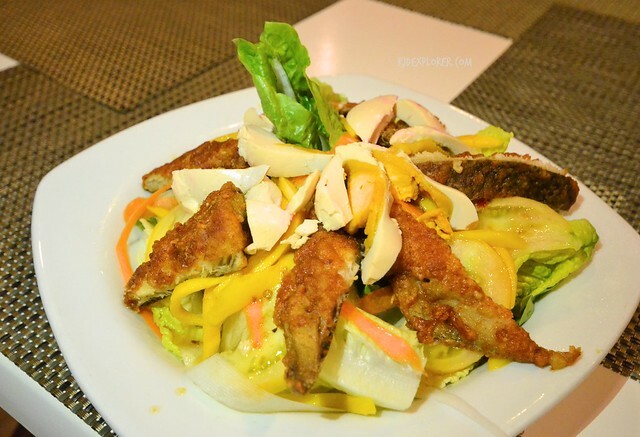 The salad was unexpectedly good with the fried tilapia fillet, shaved green mangoes, radish, lettuces, and salted egg bind by the shrimp hoisin and olive dressing. The laing also met our expectations with an added texture because of the pork cracklings. 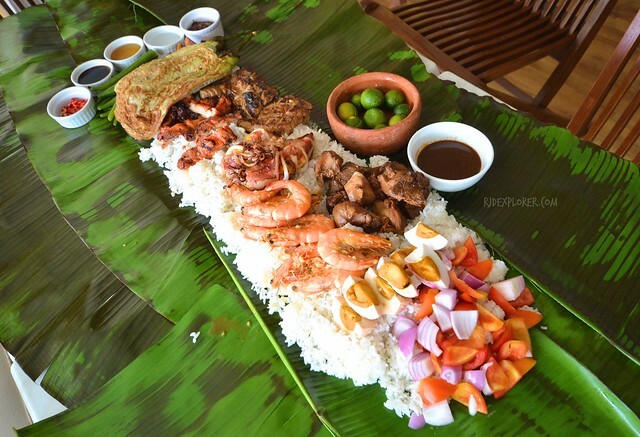 Last year, Ka-on Restaurant introduced a unique dining experience for their guests, the Boodle Fun Feast. The military style of eating, where all the food is piled on top of banana leaves and must be eaten with bare hands, starts at Php1,800 good for 6 pax. The feast is available on 3 versions: Yapak (grilled tuna belly and tortang talong), Balabag (grilled stuff squid and laing), and Manoc-Manoc (boneless bangus and pinakbet). In addition, every set has salted egg ensalada, chicken and pork adobo, shrimp, and steamed rice. Since everyone is required to use their hands in eating, you need to wash your hands with lemon-water on a clay basin before digging the generous pile of surprises on the middle of the table. 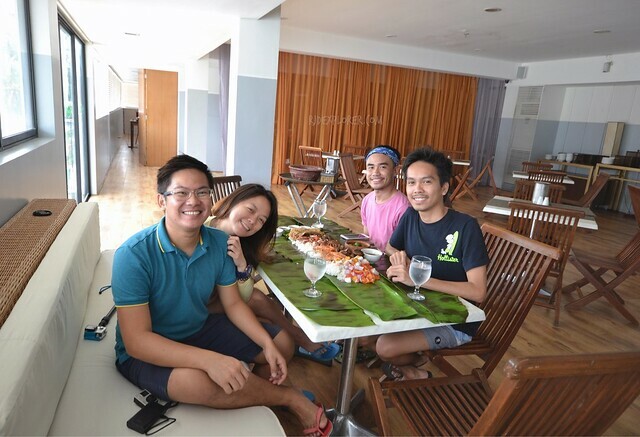 It was fun to enjoy lunch with your friends while sharing luscious meat and seafoods. Enjoying the clear water and the unclouded rays of the sun on White Beach is a challenge especially during weekends. Why stress yourself from the disturbing beachgoers when you can just chill on the hotel’s Solstice Sun Lounge. The roof deck has several cabana lounges great for some cocktails during happy hour while waiting for the spectacular sunset. Lounge chairs by the pool are also available just in case you intend to have a dip and flaunting that Boracay beach body you’ve worked on for months. The elevated platform where the pool is, also offers a panoramic view of the island. 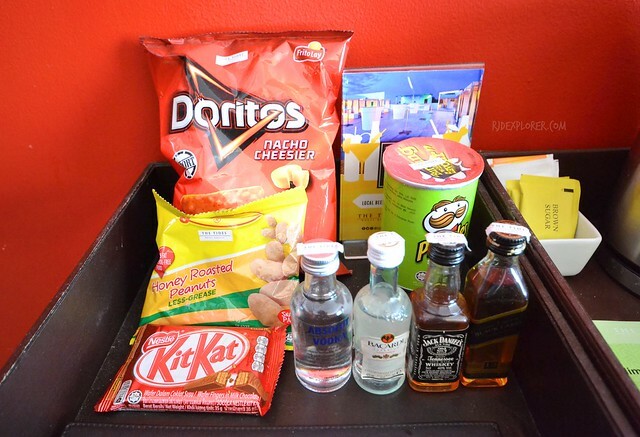 Room rates sometime include a complimentary cocktail from their selection of margarita, screwdriver, kamikaze, and tequila sunrise. 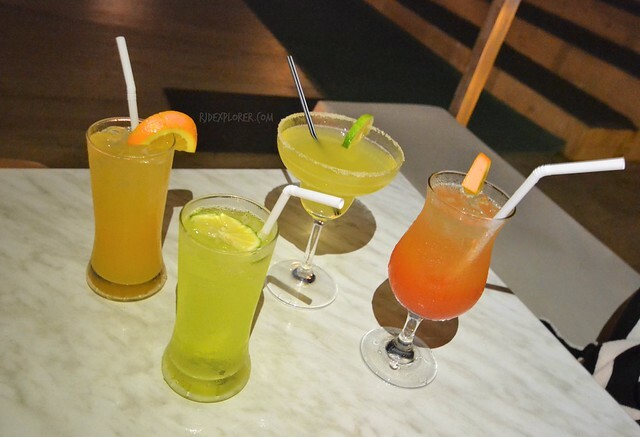 Enjoy the drinks on the cabanas or on high pub tables while grooving to the music. For guests who need to stick with their exercise routines, Tides Hotel Boracay has its own fitness center. 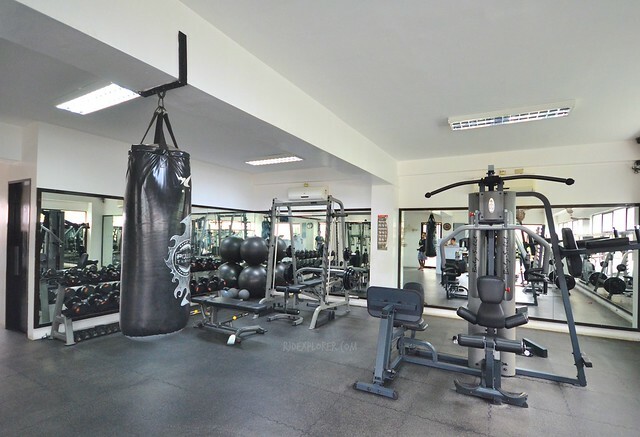 The gym has treadmills, bike, elliptical, smith, multi-press machines, and solid end rubber dumbbells. The facility is open from 9AM to 9PM, everyday. To hype your escapade, avail a massage from the available treatments at Surrender Spa. 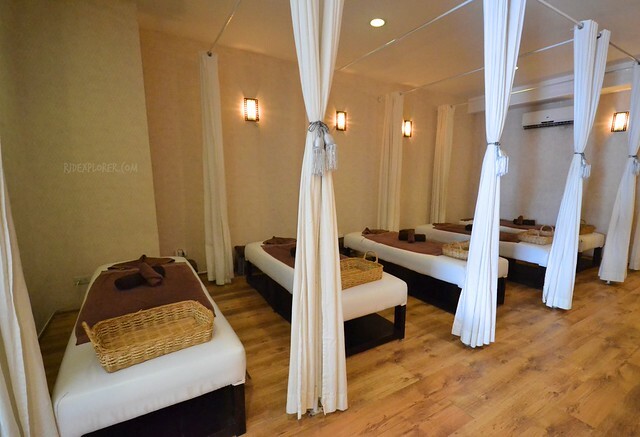 The spa, open from 10AM to 10PM, suggests Swedish and shiatsu massages, foot masques, and manicure and pedicure. We didn’t prepare any Boracay itinerary on that weekend visit to Boracay and we were glad that the hotel offered every thing we planned: stylish getaway, satiating food experience, and a relaxing stay. 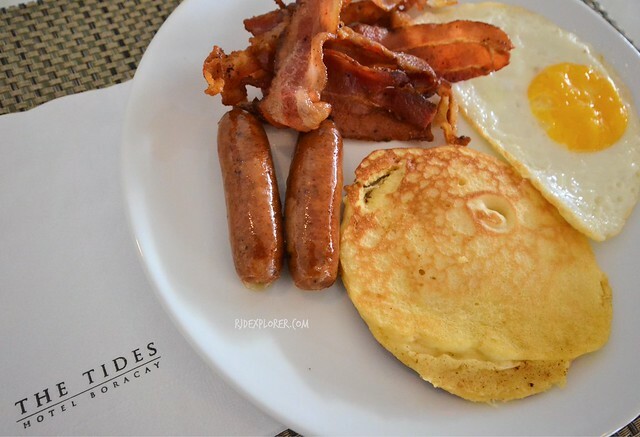 Tides Hotel Boracay exceeded my expectations with the facilities, amenities, and conveniences it can offer to guests craving for a chillax Boracay escapade. 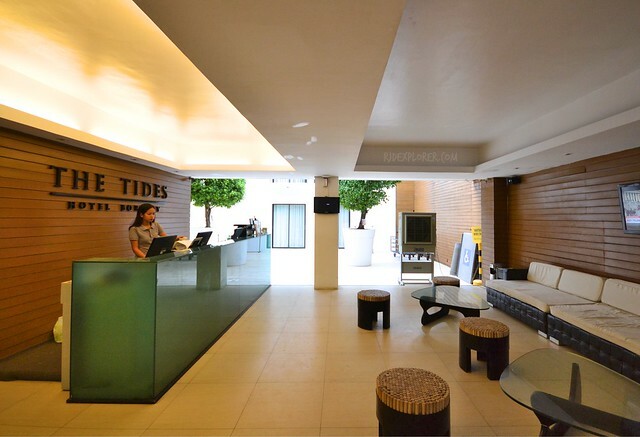 Avail discounted rates at Tides Hotel Boracay from Agoda! Disclosure: Thanks to Tides Hotel Boracay for accommodating us on our stay in Boracay. All opinions stated on this post are my own.